This I should add was all at a time just before the log roll epidemic and an almost decade of “dwarf” conifers and heathers taking over minute areas of Irelands gardens. In the music analogy department, think Cliff Richard and Englebert Humperdink and about as exciting as watching Peig Sayers frown at Mark Bolan and T-Rex. Of note, the last time I planted conifers and heathers collectively was 25 years, just before I started horticultural college. 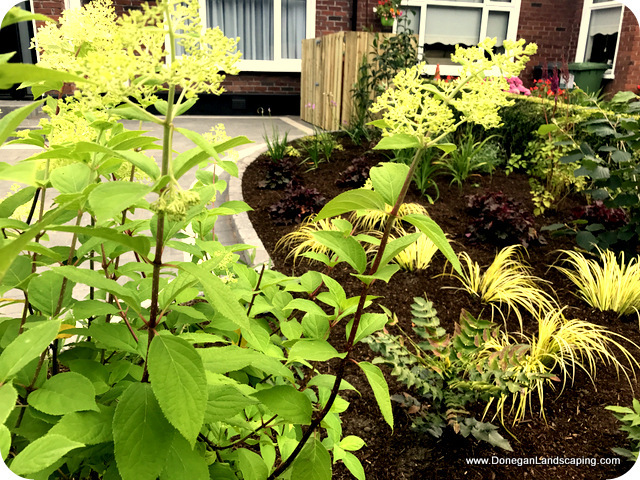 My point here that one can tell by the Ligustrum ovalifolium Aurea Variegata, Hypericum hidcote and Viburnum tinus that this garden was planted first around 1978 – 1982, give or take. And though there’s nothing wrong with that – that is 35 heading to 40 years ago. High time for an update. 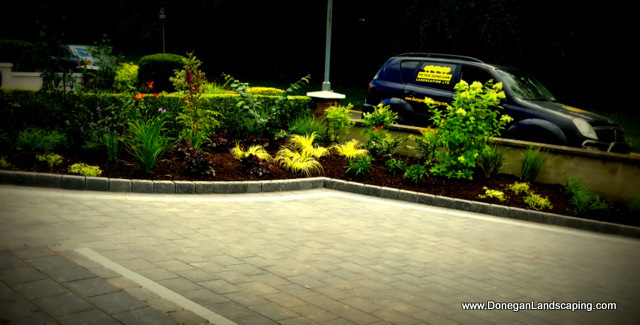 The key to good front gardens is always to stand out, for the right reasons. To explain that better. When you look at your own garden, in isolation; of course it has to look good. It’s when you stand back and take the neighbours fronts of house either side into consideration that your thought process may stand out for all of the wrong reasons – or – like you get on with your neighbours but, you have a bit of swagger (I can’t think of a better word just yet ) about you but for all of the right reasons, if you get me. As a different example ? 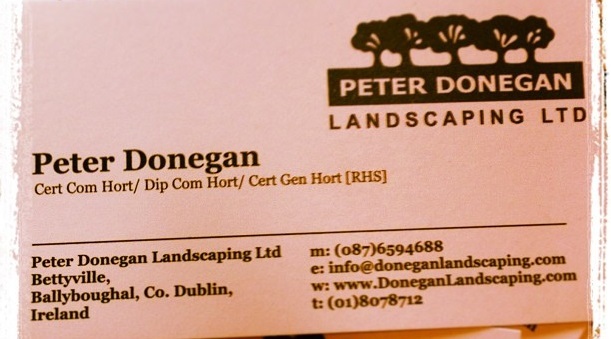 This front garden in Drumcondra may explain differently. Notice here the railings and a dumbing down of the landscape, for the greater of the home. Again the improvements are noticeable, but not for the wrong reasons. Stone surface selected, lawn removed, front steps sizes increased and extended, parking levels agreed, hand made bin screen in place and bearing in mind the newly revealed backdrop (as owned by the neighbours) was Buxus semprevirens, every plant hand selected by yours truly, with a modern take on some of the older varieties. Far from a Peter Donegan show garden it may well be, but I like it.